You spend weeks preparing for a job interview and give 110 percent once you're in the hot seat. You walk out feeling confident and relieved -- like your work is finally done. In fact, there's still one more crucial step to take if you really want to land the gig: sending the interview thank you email. 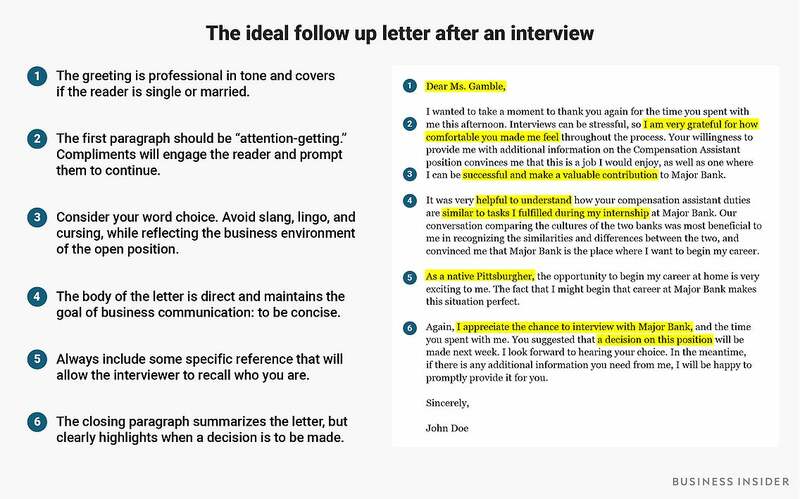 "The best timeframe to send a thank you email is within 24 hours after your interview," says Whitney Purcell, associate director of career development at Susquehanna University. "It should be sent during business hours -- no 3 a.m. emails that make your schedule seem a little out of whack with the company's traditional hours." While the interview thank you email doesn't require too much heavy lifting, a simple, "Thanks for your time!" won't do. You need to really "wow" the hiring manager and make a great final impression before they make a decision about you. Your follow-up thank you email (yes, experts say most hiring managers prefer email over hand-written notes) needs to stand out from the crowd. It should highlight the best parts of the conversation you had with the interviewer, and a final reminder as to why you'd be perfect for the job. Hope Restle contributed to a previous version of this article.